It’s time for yet another camp story. This time from a girl who started attending Camp LiWa as soon as she could. 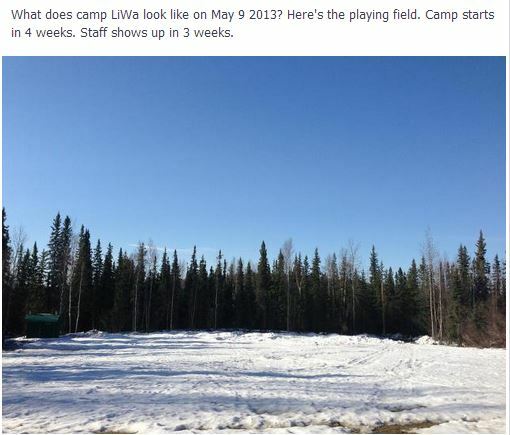 I started going to Camp Li-Wa when I was going into 6th grade. Then I just thought it was a fun place to go in the summer. Since I had already been a Christian years before that time, I thought everything they were teaching was old news. I thought of Christianity as a boring lifestyle that I just happen to be a part of. That thought changed as I kept going for every year after that. I could see the way that the leaders loved the Lord, loved Him and had a relationship with Him that I didn’t even know was possible. For the first time I saw God treated like a father who was dearly loved, and not simply a figurehead. Through the years of going to camp I wanted to learn more and more about Him, until camp was the highlight of my year. I continued to go to camp even after I was too old to be a camper. As a SALT I learned how to have a relationship with God in an even deeper way, and learned how to give it back to Him by not just going to camp to have fun, but to work and teach others. The moment I was able to work at camp all summer I took it. After all those years of learning about God, it was now my turn to be the one to teach it. Week after week, new kids at camp were either excited to learn about God, or unaware of what they were going to learn. It was exciting to see kids who had never heard the word of God to give their lives to Him by the end of a week. Not only was it great to teach the kids, but being a part of a staff that all loved the Lord and were committed to Him was amazing. I came back the next year simply because I couldn’t stay away. I don’t care that I don’t get paid, because what happens at camp lasts forever. I plan to go back again this summer as a counselor to, again, devote my summer to the Lord. Camp LiWa still needs people to volunteer for this summer, especially guys over 18. The camp is beautiful with gorgeous sunsets over the playing field and the lake. Although we’re experiencing a late winter, the summer will be here soon!